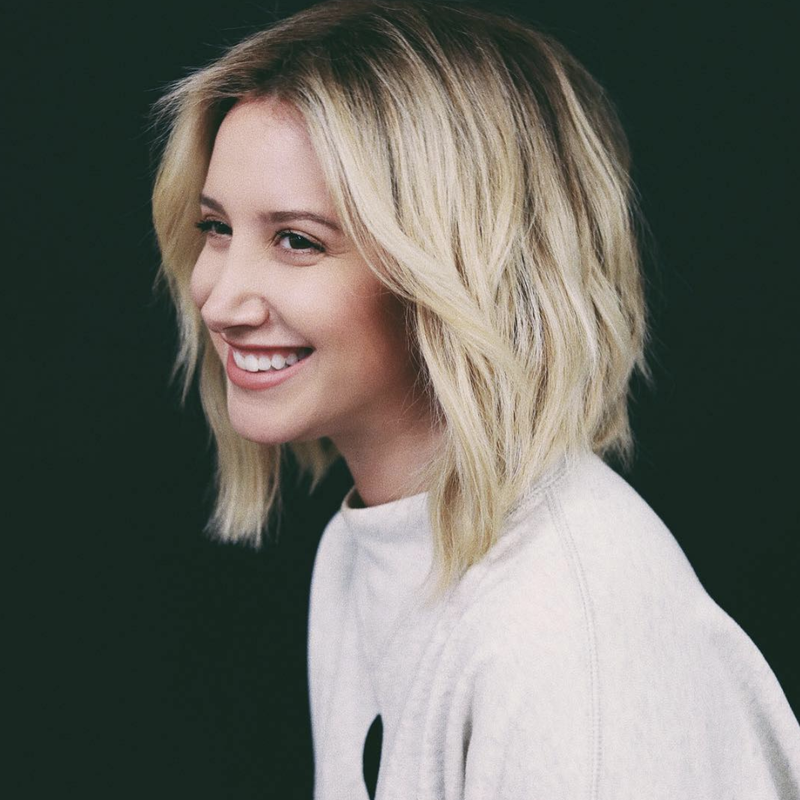 Ashley Tisdale’s cut is an A-line lob with face-framing strands and shorter layers throughout. The longer front mixed in with shorter strands gives interest and dimension to the cut while drawing attention to Ashley’s facial features. The look is styled with a very soft, natural wave and L’Oreal Professionnel Next Day Hair for added texture.